The development of a revolutionary new treatment to help diabetes sufferers will move forward at a Nuneaton company thanks to major funding. There are around 3.6 million people who have diabetes and around another one million who aren’t even aware they have it. It is becoming a huge issue and BHR Pharmaceuticals is now pioneering a ground-breaking treatment for one of the complications associated with diabetes. BHR Pharmaceuticals has received £33,000 to support the development of a new piece of equipment focused on relieving a painful condition caused by nerve damage, diabetic neuropathy, a condition suffered by around 60 per cent of all diabetics. The condition can prove very painful in some patients, leading to constant pain and requires the use of some powerful drugs with their own side effects. BHR’s innovation is a none invasive approach, providing much needed relief and avoids the need for drug intervention. The company will start trialling FREMS (frequent rhythmic electrical modulation systems) delivered through the APTIVA4 machine to treat the conditions in patients. Coventry City Council awarded the cash to the firm through the European Regional Development Fund (ERDF) to support a pilot clinical trial, with the hope that the research will lead to pushing it out across the country and beyond. 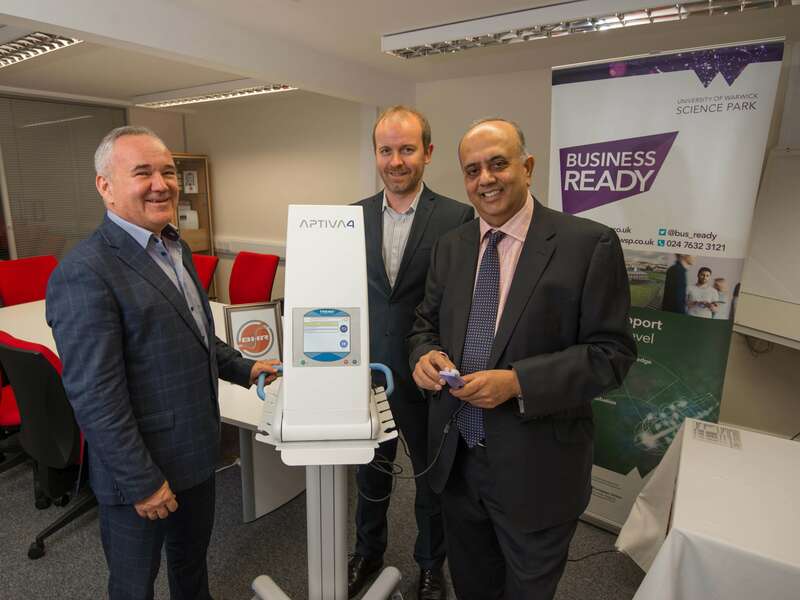 The Centenary Business Park-based firm worked with the University of Warwick Science Park’s Business Ready programme, which helped facilitate the funding application. Bharat Vadukul, director of BHR Pharmaceuticals, is extremely pleased with the funding and said the company is forging ahead with its plans. “The main treatments for painful diabetic neuropathy remain management of the underlying diabetes and drugs for the relief of pain,” said Bharat. “Despite the significant individual and social burden associated with diabetic neuropathy, its treatment remains unsatisfactory. “Many therapies have been the subject of clinical trials for diabetic neuropathy and painful diabetic neuropathy. “However, there are currently no FDA-approved therapies for diabetic neuropathy so our aim is to work to that and provide a treatment that is clinically proved and works. “We are thrilled that we got the funding to get this project underway and we have to thank Business Ready and Coventry City Council. Alex Toft, Business Ready adviser, who has been guiding and supporting BHR Pharmaceuticals, said this was just the beginning for the firm, and ongoing the support is planned. “This funding for BHR Pharmaceuticals is extremely helpful,” said Alex. “But it is the first step in a very innovative and exciting trial for the firm and I am glad that Business Ready has been able to be there to help with the start of the journey. “The project and the technology has the potential to help a significant number of patients relive their suffering from what is classed as a modern day epidemic – diabetes. “Supporting those to bring cutting edge medical technology which can improve peoples’ lives and reduce suffering is one of the many rewarding functions of being part of the Business Ready programme.